March 1 is the 60th day of the year(61st in leap years) in the Gregorian calendar.There are 305 days remaining until the end of the year. 293 – Emperor Diocletian and Maximian appoint Constantius Chlorus and Galerius as Caesars. This is considered the beginning of the Tetrarchy, known as the Quattuor Principes Mundi ("Four Rulers of the World"). 317 – Crispus and Constantine II, sons of Roman Emperor Constantine I, and Licinius Iunior, son of Emperor Licinius, are made Caesares . 1562 – Sixty-three Huguenots are massacred in Wassy, France, marking the start of the French Wars of Religion. 1713 – The siege and destruction of Fort Neoheroka begins during the Tuscarora War in North Carolina, effectively opening up the colony's interior to European colonization. 1793 – French Revolutionary War: Battle of Aldenhoven during the Flanders Campaign. 1796 – The Dutch East India Company is nationalized by the Batavian Republic. 1852 – Archibald Montgomerie, 13th Earl of Eglinton, is appointed Lord Lieutenant of Ireland. 1932 – Charles Lindbergh's son is reportedly kidnapped. 1942 – World War II: Japanese forces land on Java, the main island of the Dutch East Indies, at Merak and Banten Bay (Banten), Eretan Wetan (Indramayu) and Kragan (Rembang). 1949 – Indonesian Army recaptures and occupies for six hours its capital city Yogyakarta from the Dutch. 1956 – Formation of the East German Nationale Volksarmee. 1983 – First collection of twelve Swatch models was introduced in Zürich, Switzerland. 1991 – Uprisings against Saddam Hussein begin in Iraq, leading to the death of more than 25,000 people mostly civilian. 2005 – In Roper v. Simmons , the U.S. Supreme Court rules that the execution of juveniles found guilty of murder is unconstitutional. 2008 – The Armenian police clash with peaceful opposition rally protesting against allegedly fraudulent presidential elections, as a result ten people are killed. 2014 – 35 people are killed and 143 injured in a mass stabbing at Kunming Railway Station in China. The year 509 BC was a year of the pre-Julian Roman calendar. In the Roman Republic it was known as the Year of the Consulship of Brutus and Collatinus. The denomination 509 BC for this year has been used since the early medieval period, when the Anno Domini calendar era became the prevalent method in Europe for naming years. Publius Valerius Poplicola or Publicola was one of four Roman aristocrats who led the overthrow of the monarchy, and became a Roman consul, the colleague of Lucius Junius Brutus in 509 BC, traditionally considered the first year of the Roman Republic. Year 1105 (MCV) was a common year starting on Sunday of the Julian calendar. Year 492 (CDXCII) was a leap year starting on Wednesday of the Julian calendar. At the time, it was known as the Year of the Consulship of Anastasius and Rufus. The denomination 492 for this year has been used since the early medieval period, when the Anno Domini calendar era became the prevalent method in Europe for naming years. Pope Felix III was Pope from 13 March 483 to his death in 492. His repudiation of the Henotikon is considered the beginning of the Acacian schism. He is commemorated on March 1. Year 589 (DLXXXIX) was a common year starting on Saturday of the Julian calendar. The denomination 589 for this year has been used since the early medieval period, when the Anno Domini calendar era became the prevalent method in Europe for naming years. Saint Agnes Tsao Kou Ying, or Cao Guiying, was a Qing dynasty Chinese layperson who was martyred for preaching the Gospel in Guangxi. She was canonized a martyr-saint by Pope John Paul II on 1 October 2000. Saint Albinus of Angers was a French abbot and bishop. Born to a noble Gallo-Roman family at Vannes, Brittany, St. Albinus was a monk and from 504 C.E. Abbot of Tintillac. His reputation spread during the twenty-five years in which he served as abbot. 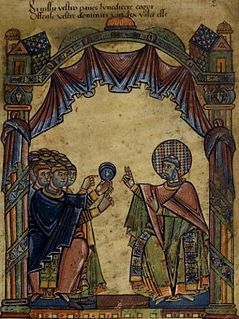 In 529, St. Albinus was elected, against his wishes, Bishop of Angers. Independence Day, celebrates the independence of Bosnia and Herzegovina from Socialist Federal Republic of Yugoslavia in 1992. In Iceland, Beer Day is celebrated every year on March 1, honoring the elimination of the 74-year prohibition of beer. Prohibition lasted from January 1, 1915 to March 1, 1989. Wikimedia Commons has media related to March 1 .